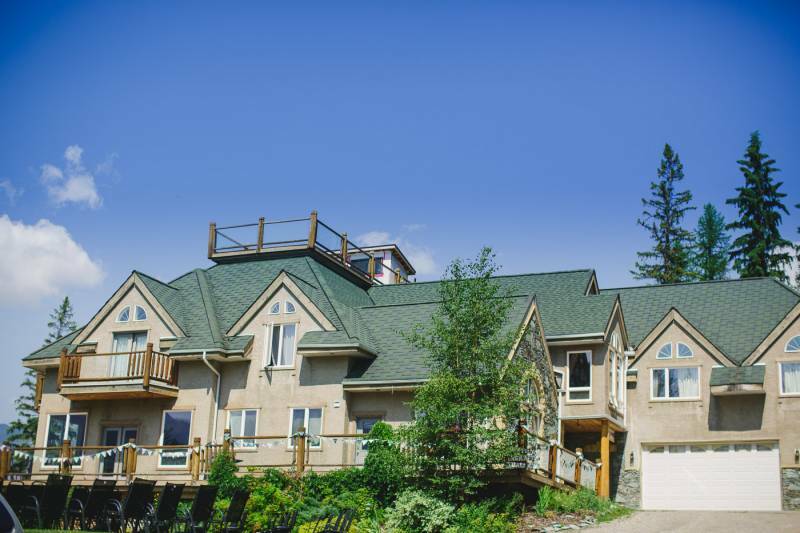 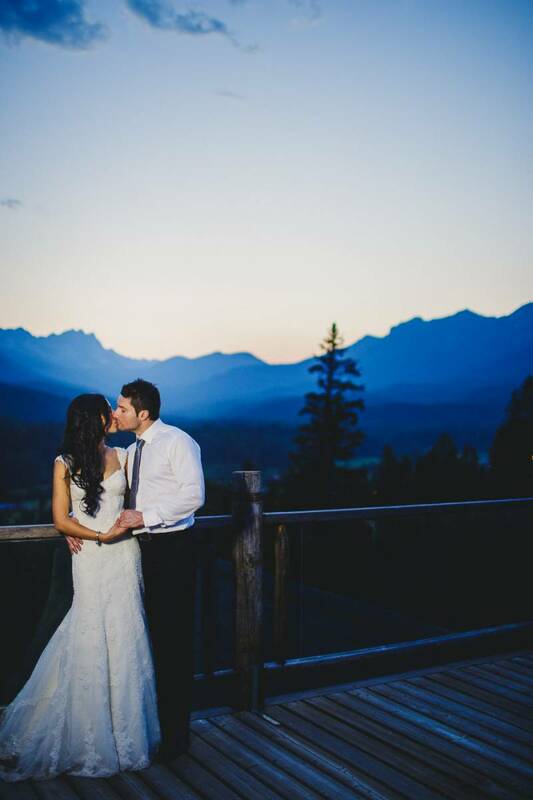 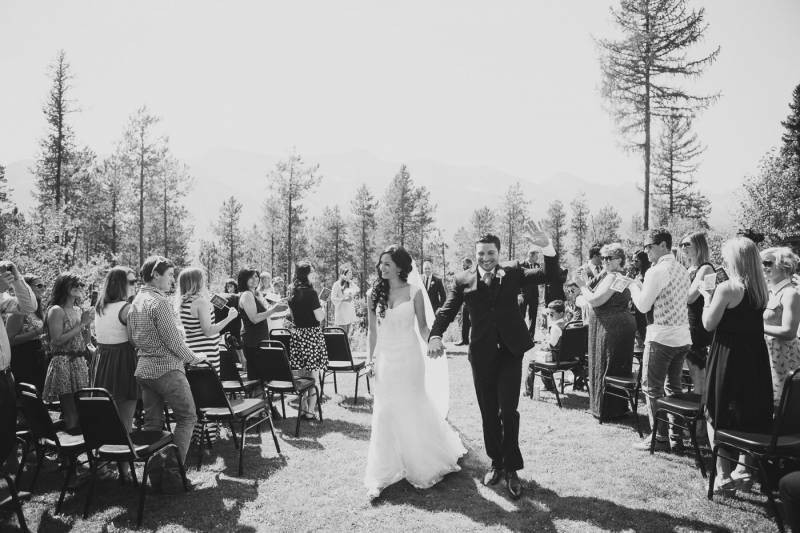 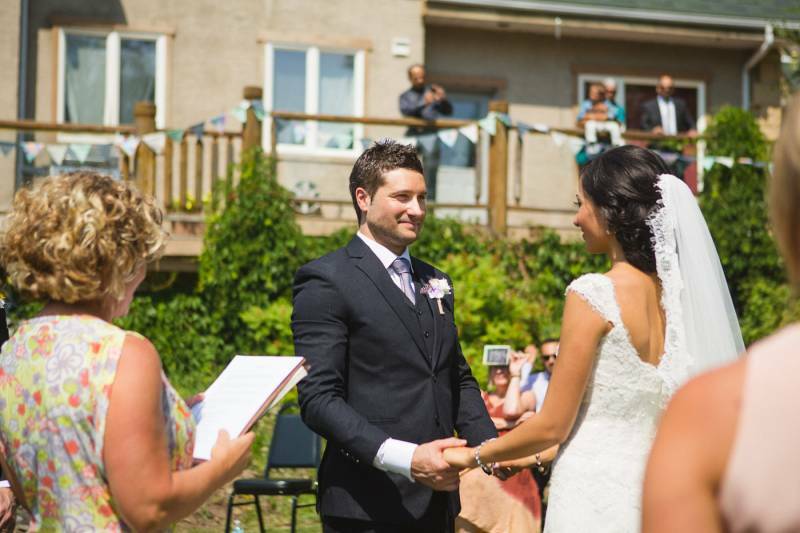 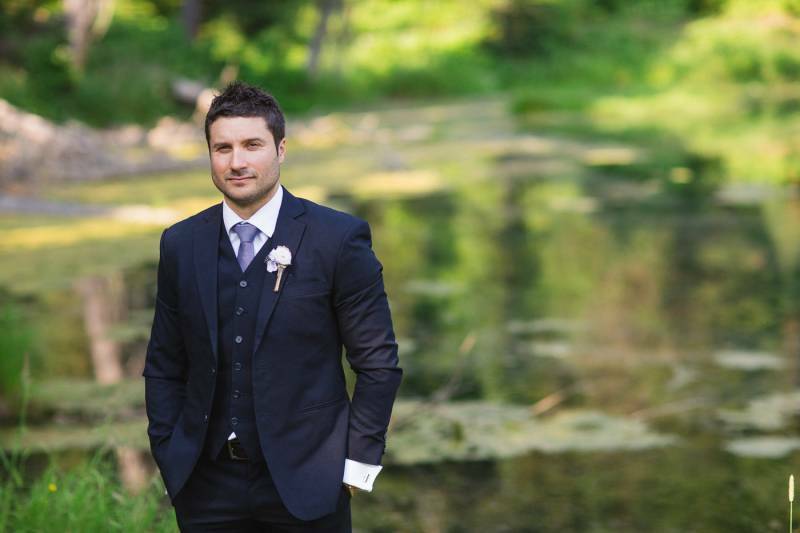 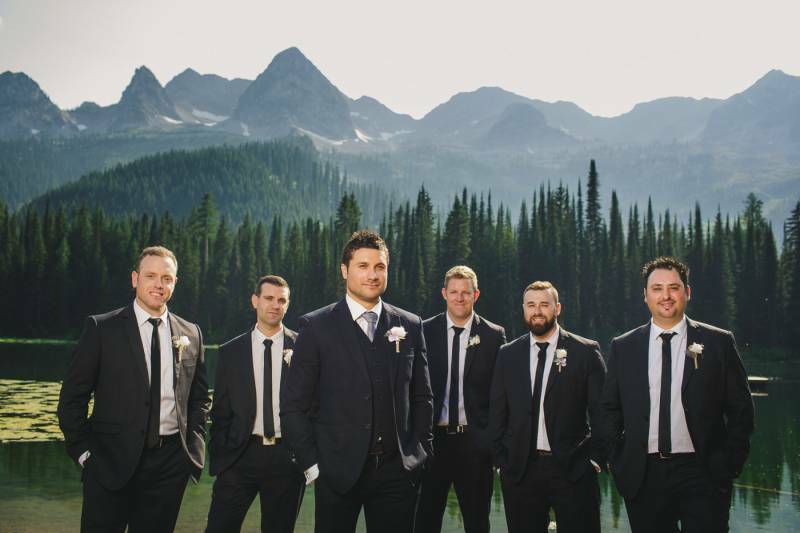 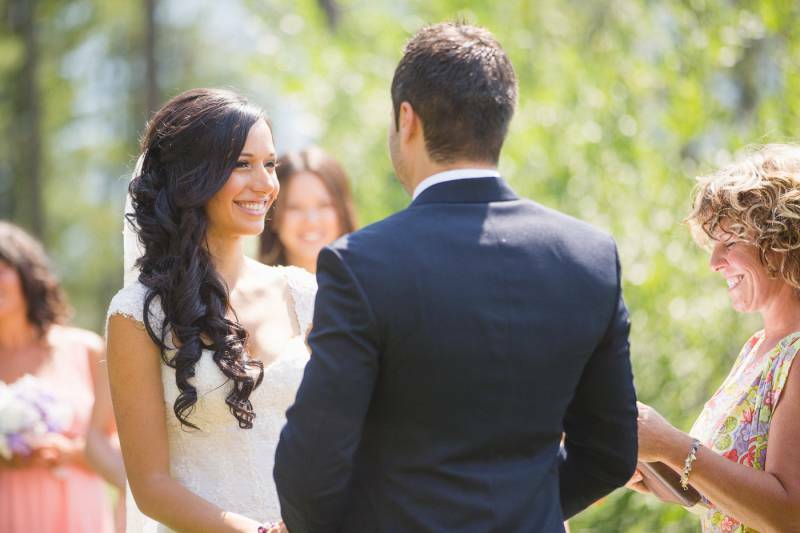 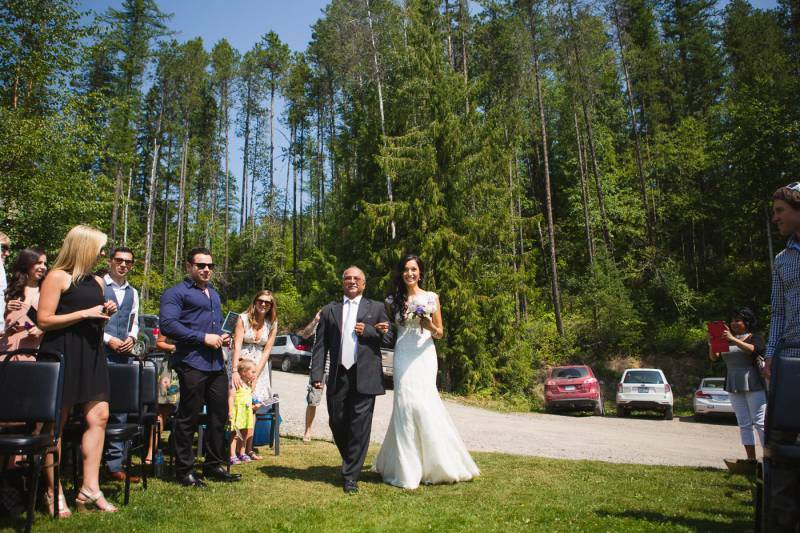 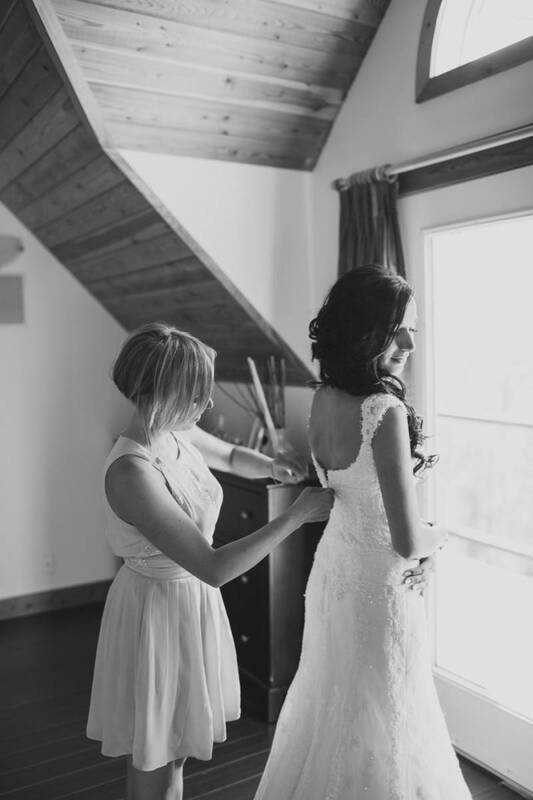 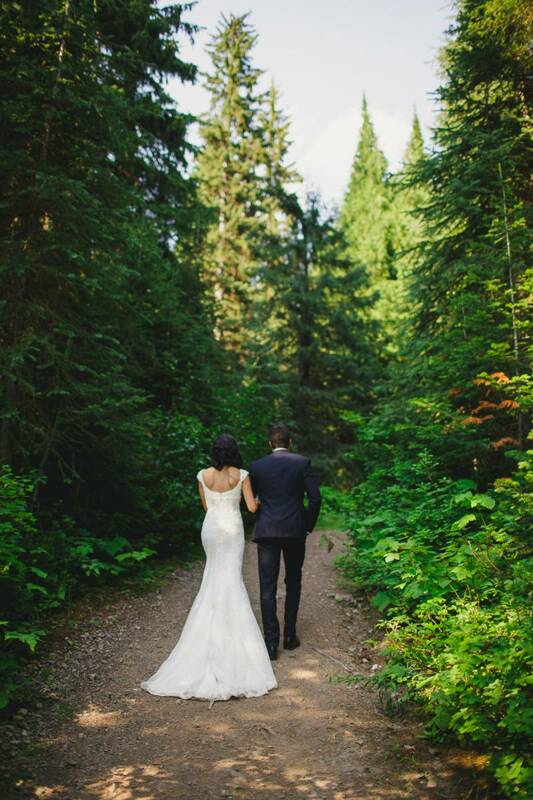 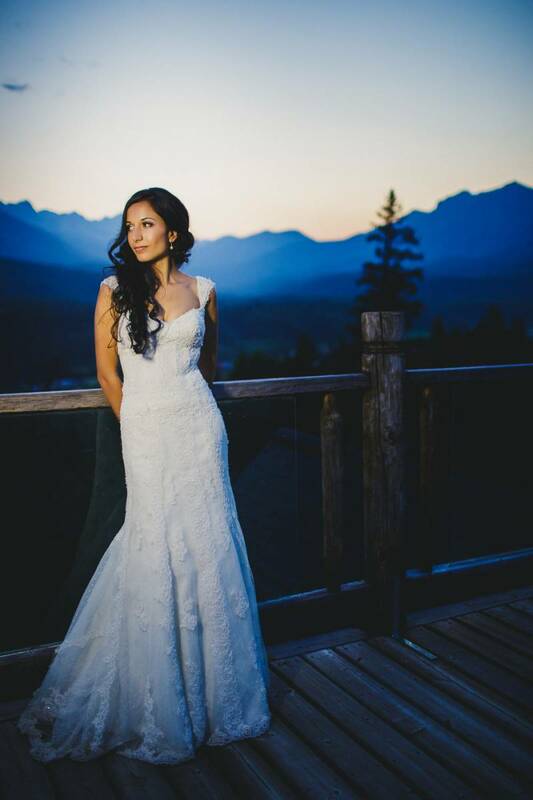 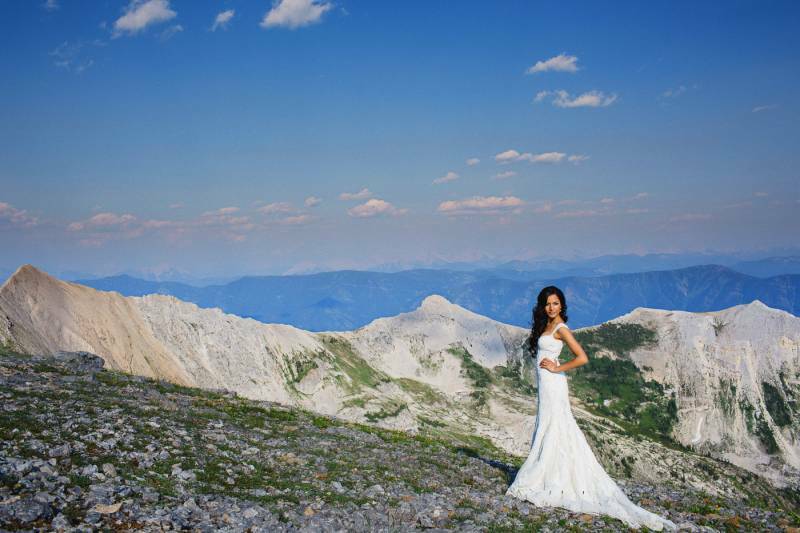 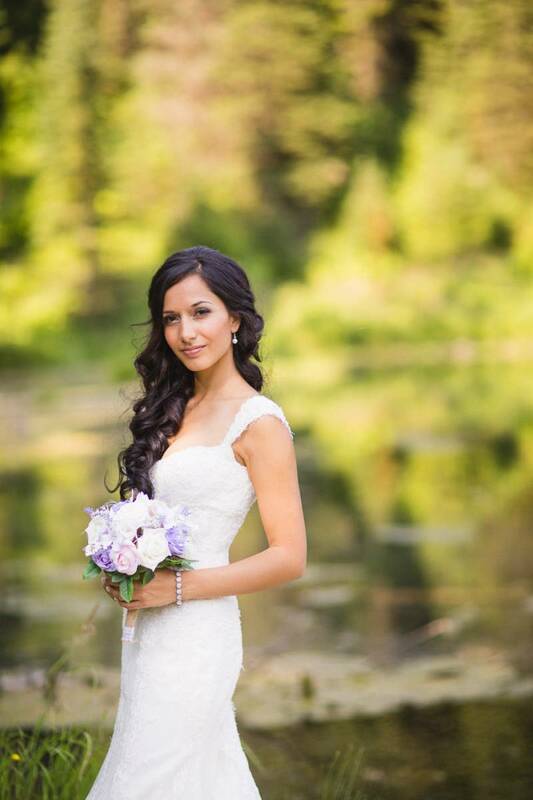 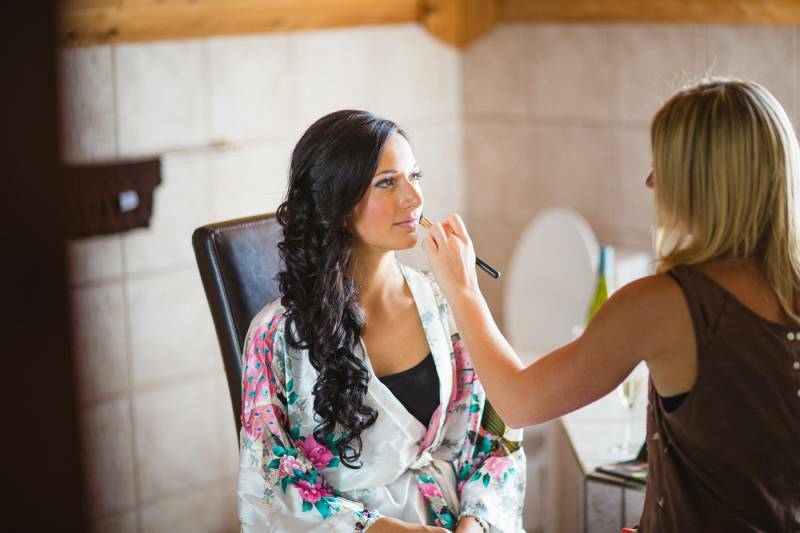 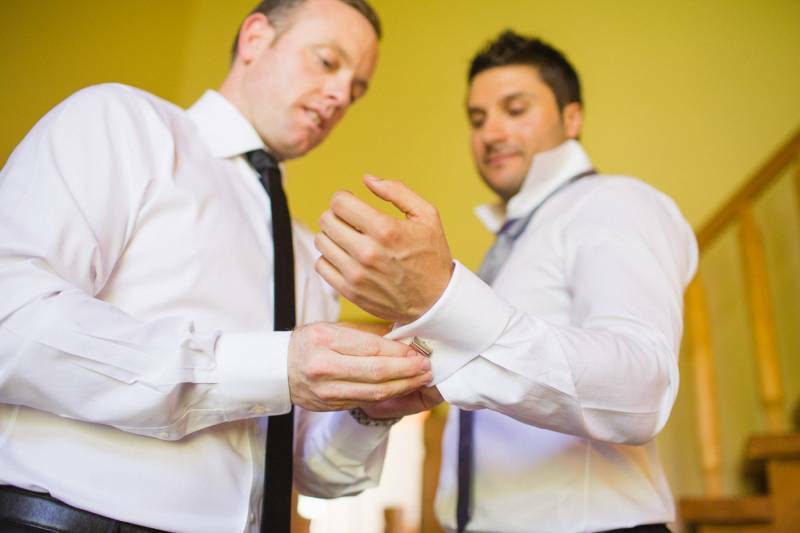 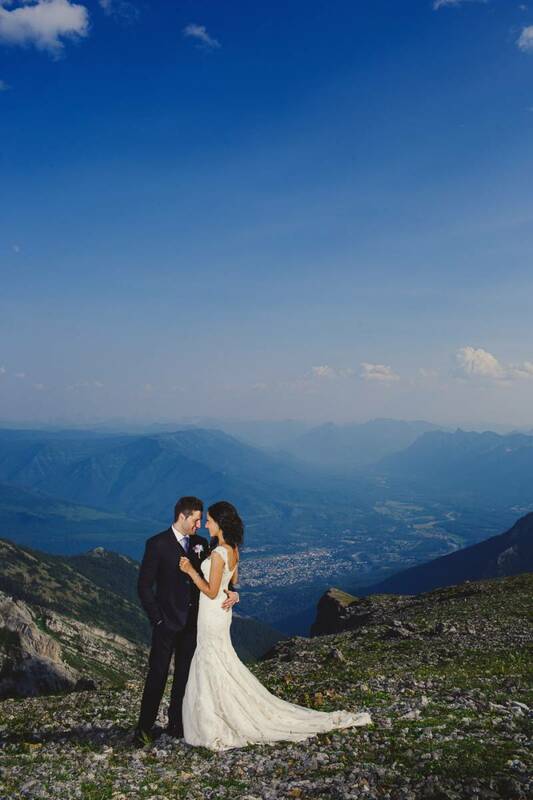 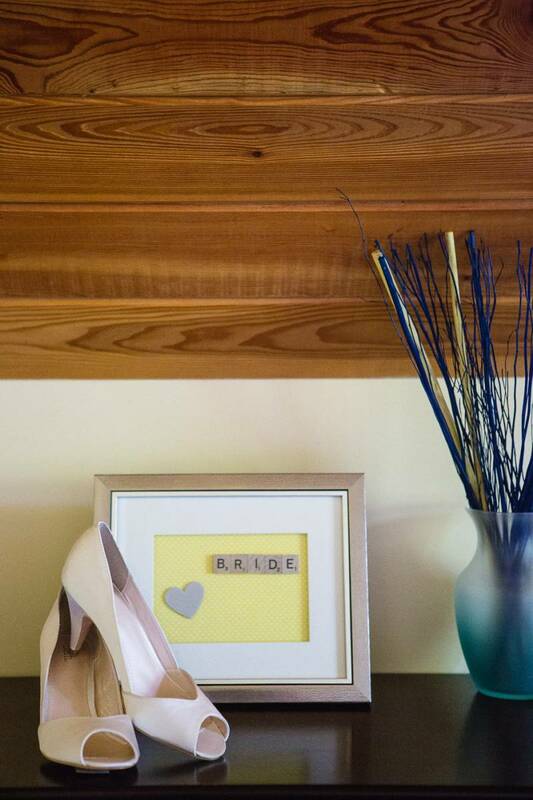 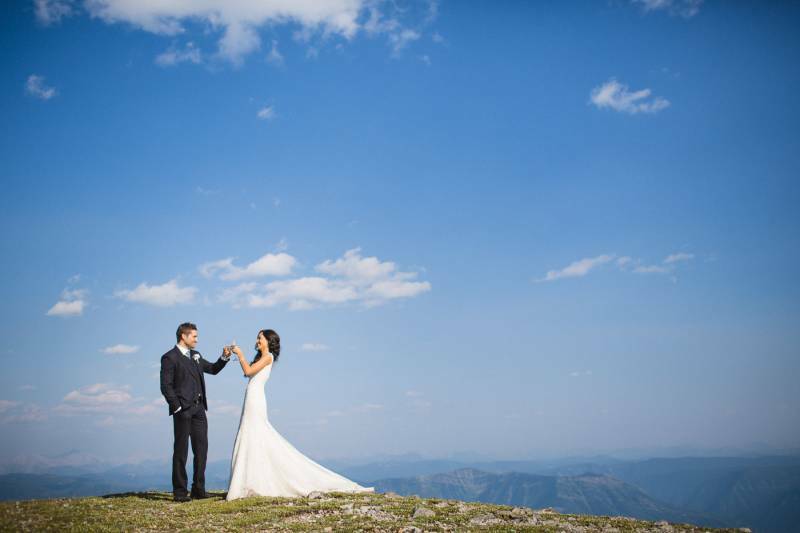 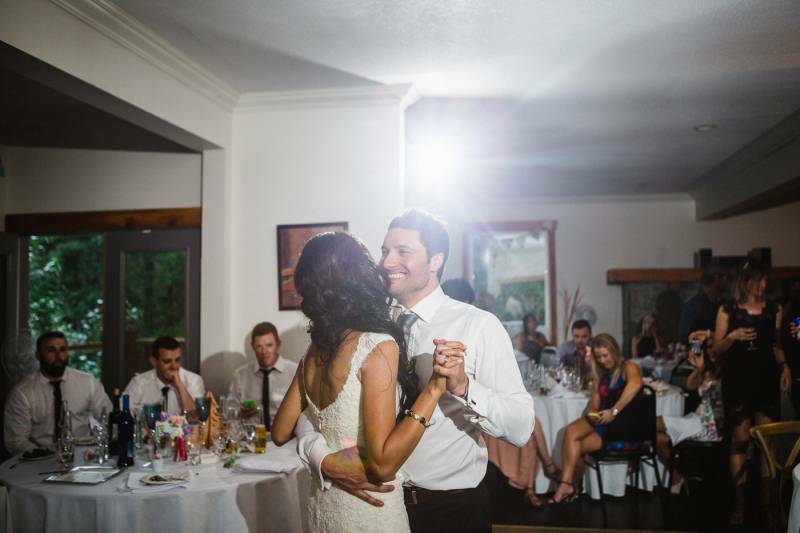 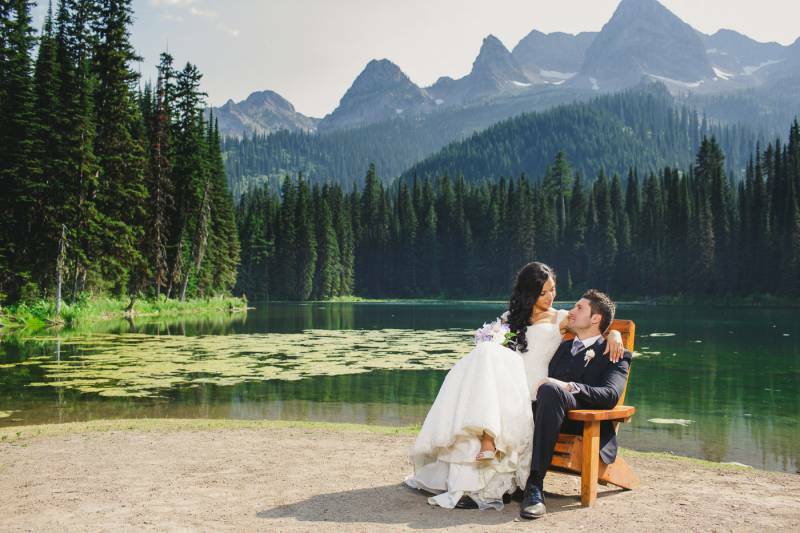 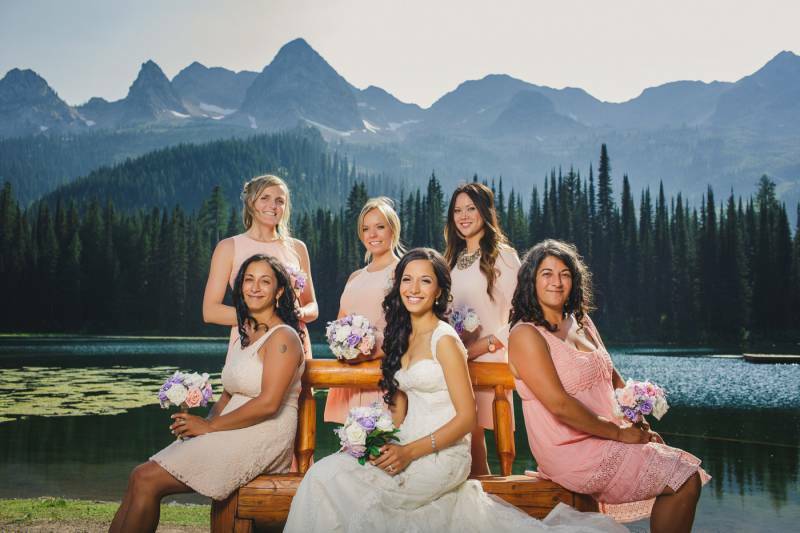 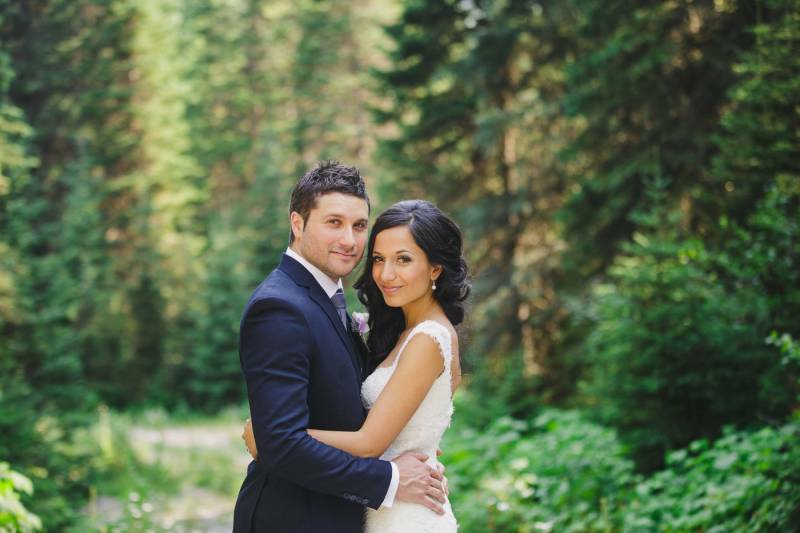 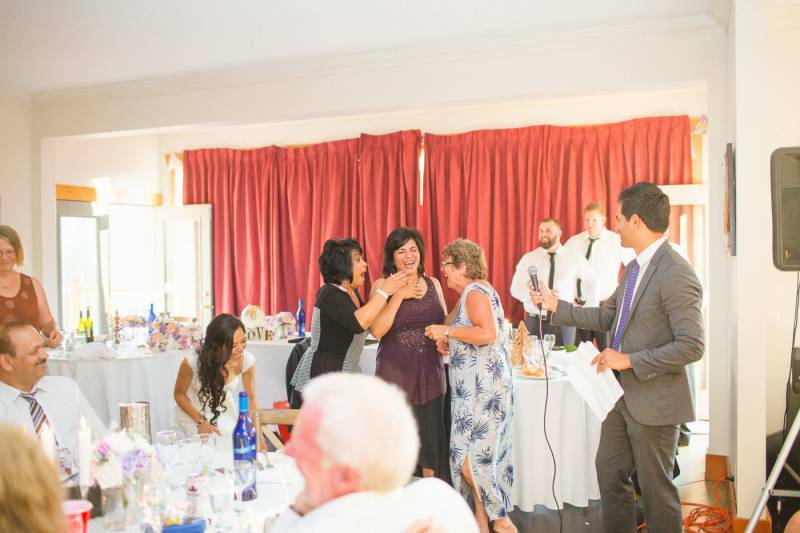 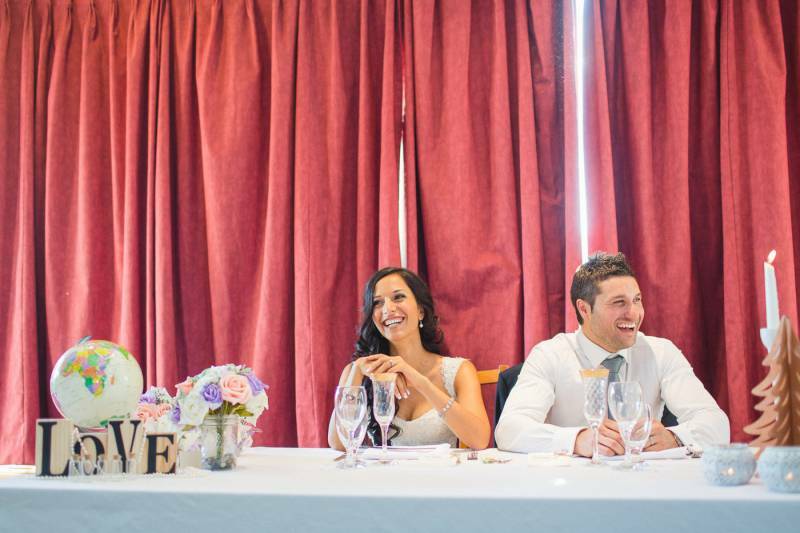 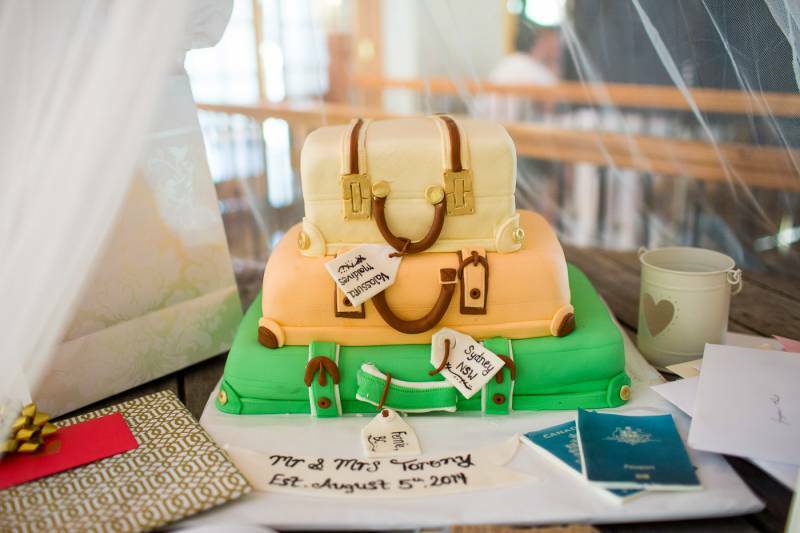 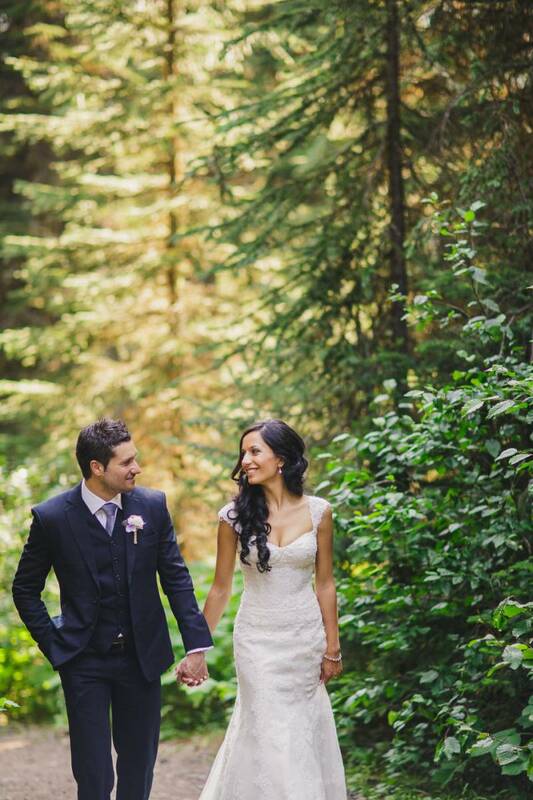 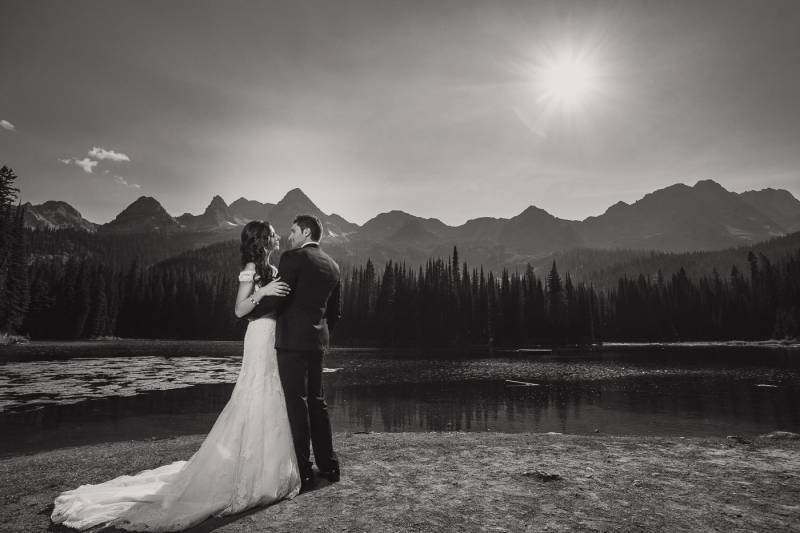 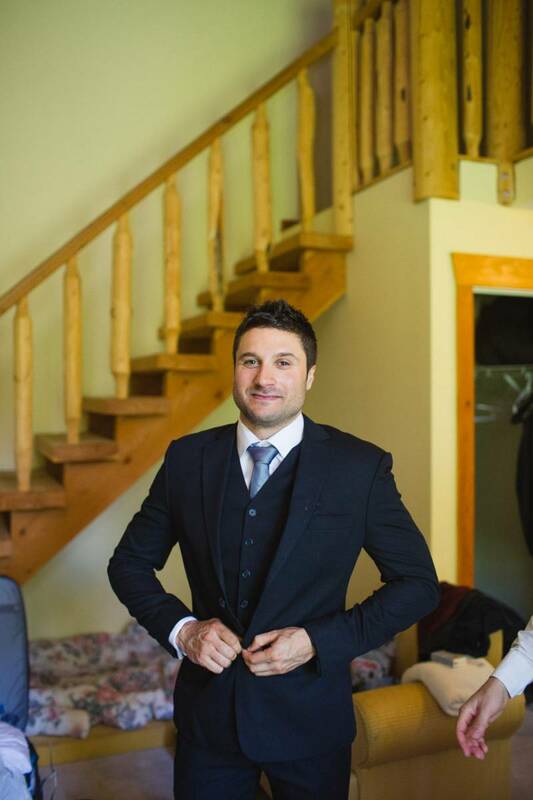 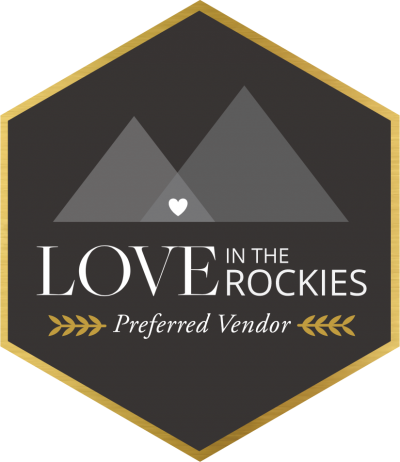 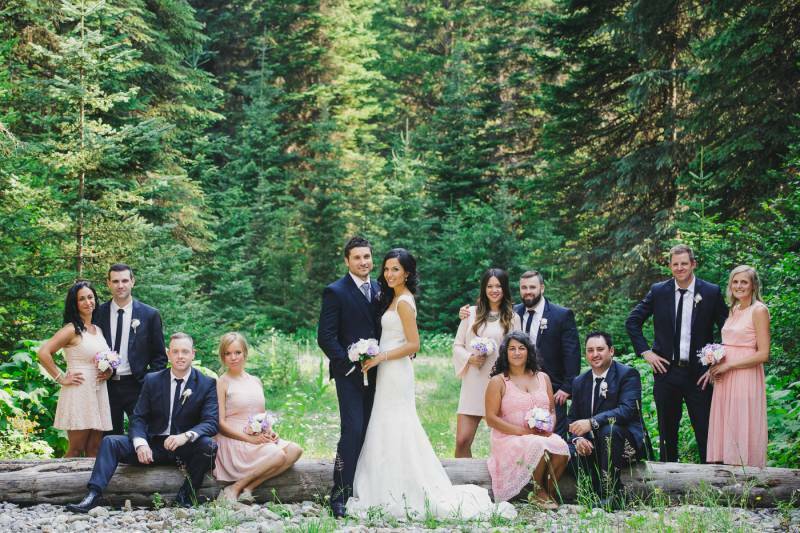 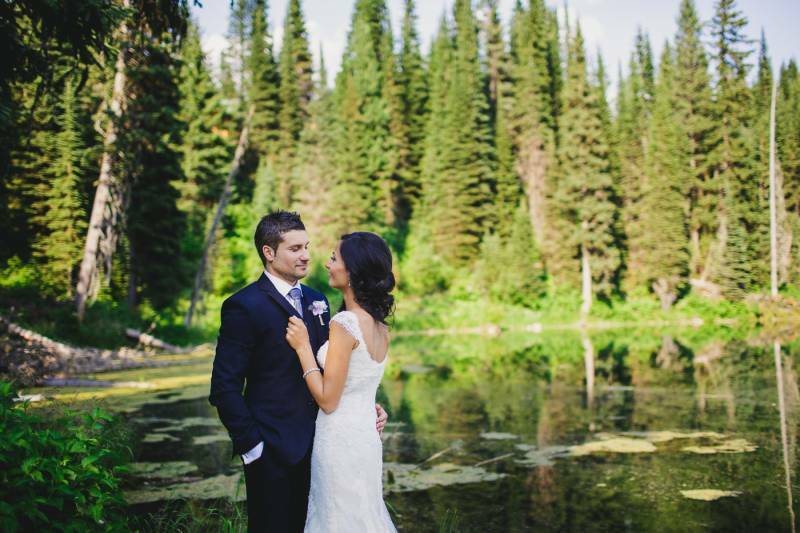 6:8 Photography captured these amazing photos from this fabulous Fernie wedding. 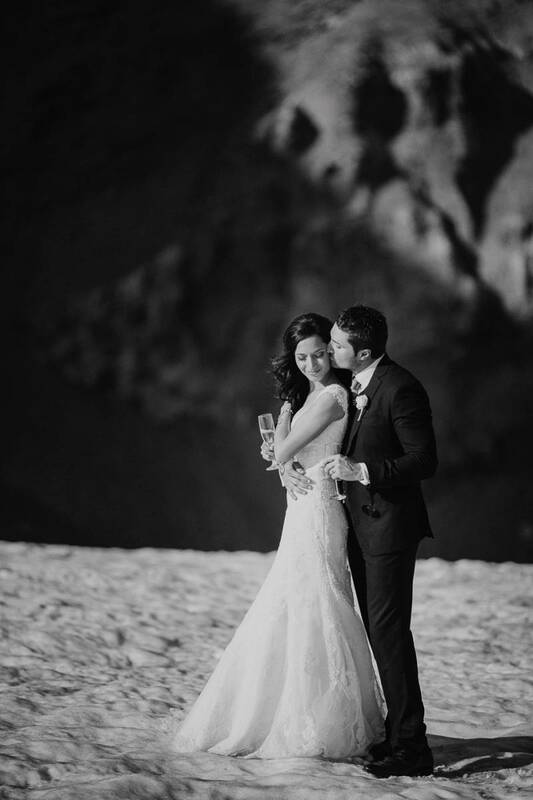 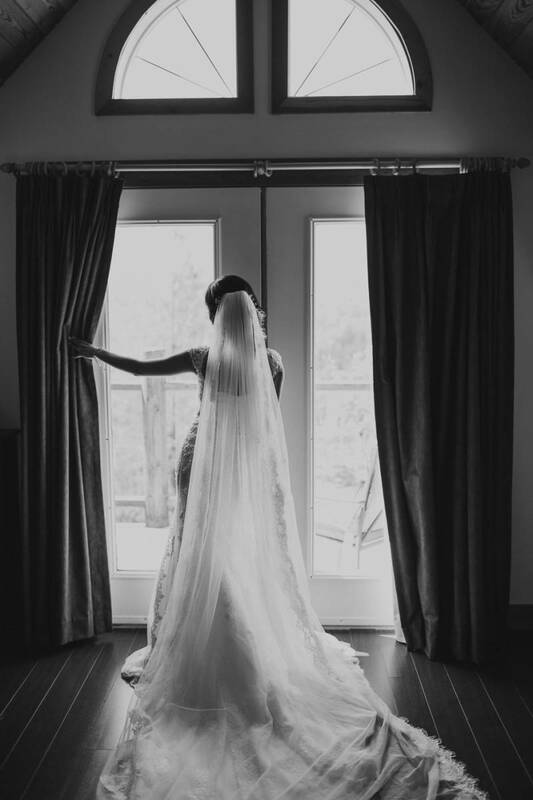 The bride looked absolutely stunning in a fitted lace trumpet gown with a long train and gorgeous hair. 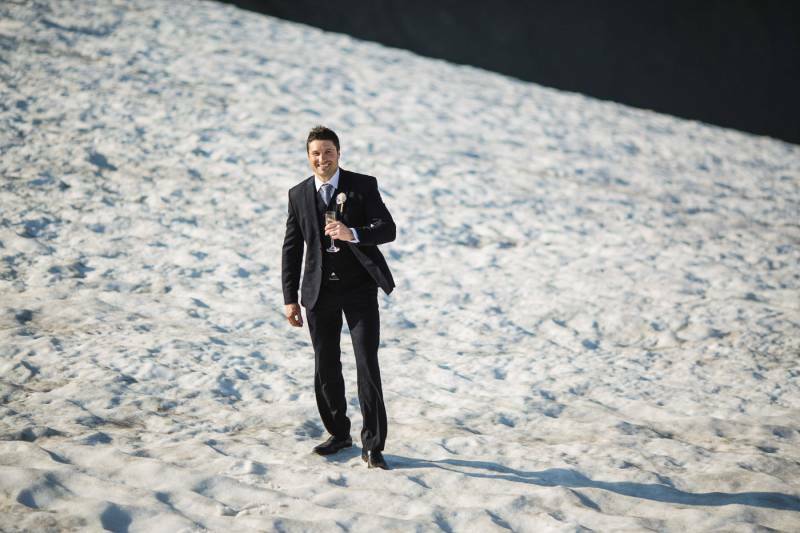 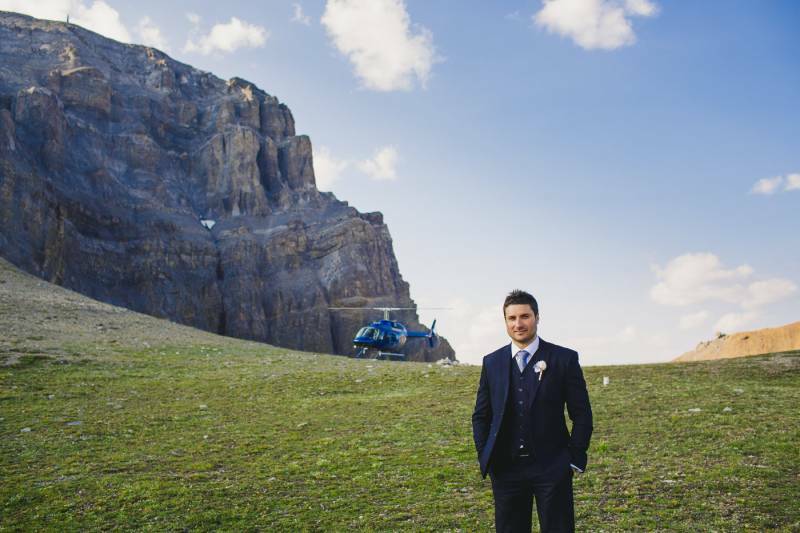 But that's not it, after the ceremony the couple and their photographer hopped into a helicopter for a mountain top wedding portrait session. 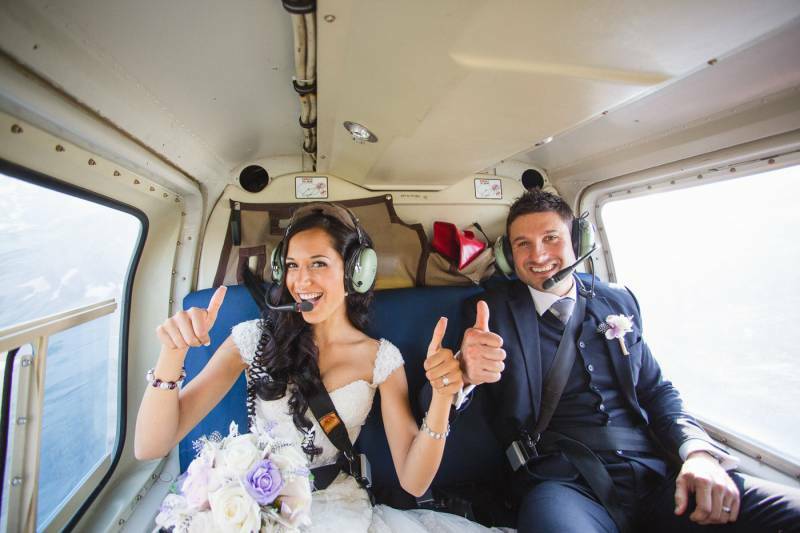 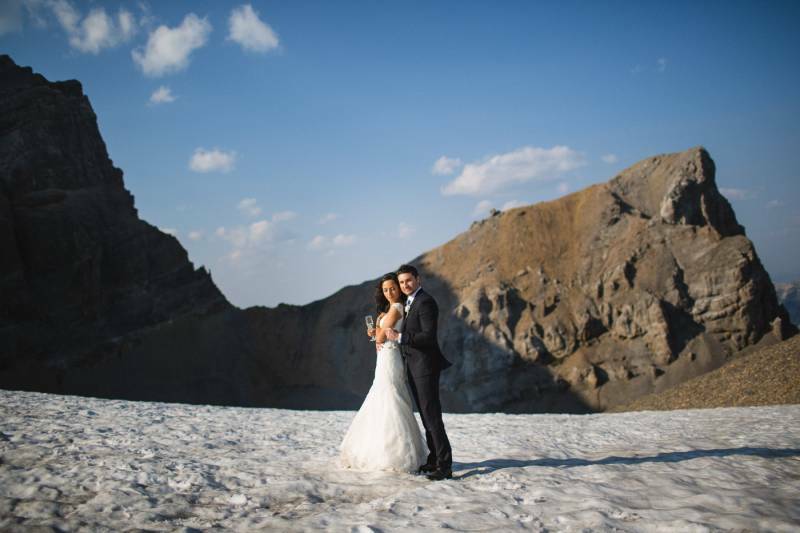 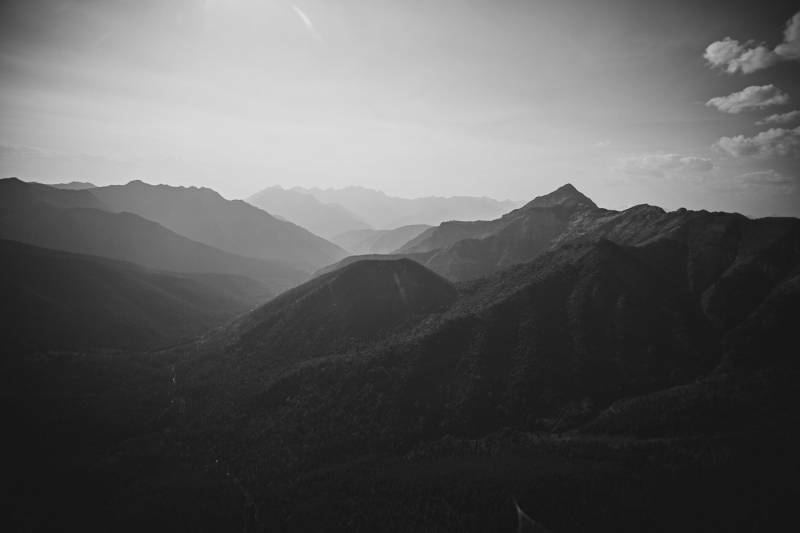 The heli photos are remarkable and the experience will be with the bride and groom forever. 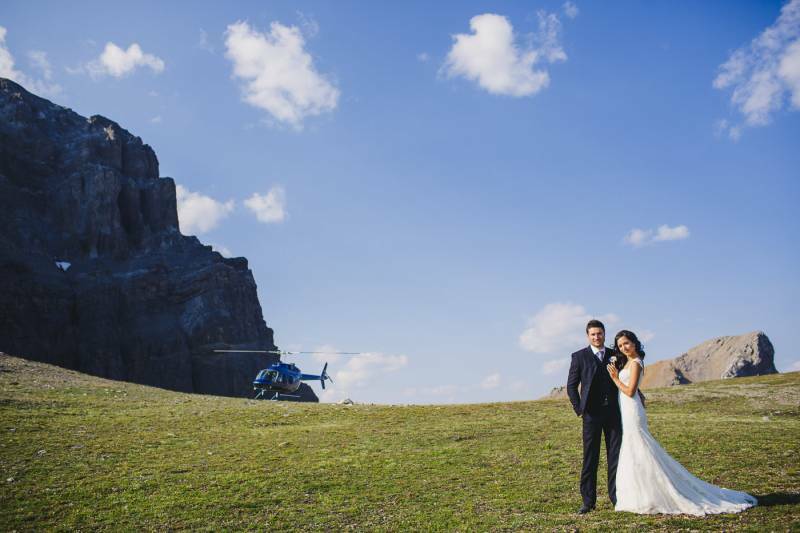 We love the idea of adding in the adventure and beauty of a heli tour on your wedding day - after all these are the photos that you will cherish for the rest of your life. 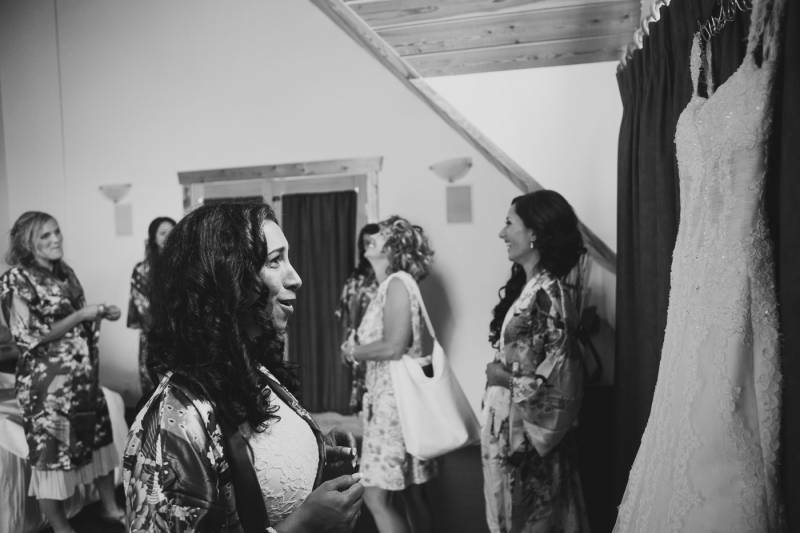 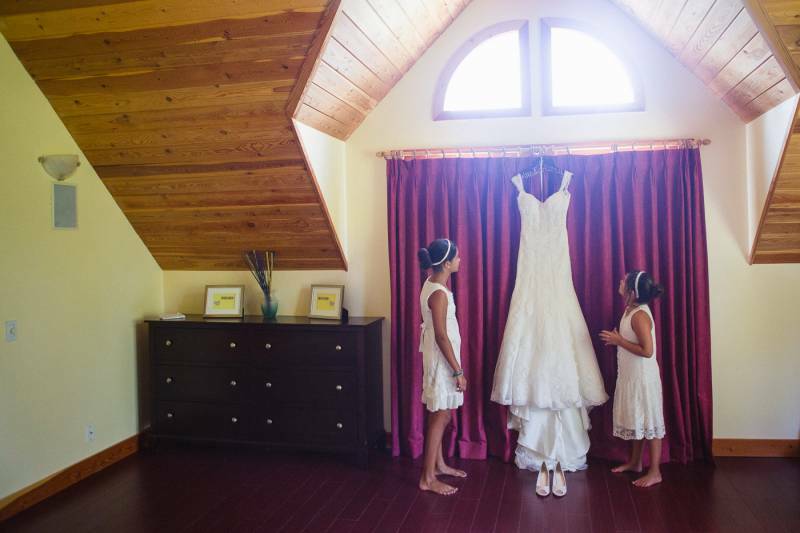 I love this picture of the little flower girls admiring the beautiful bride's dress, I'm sure they are dreaming of their own wedding one day. 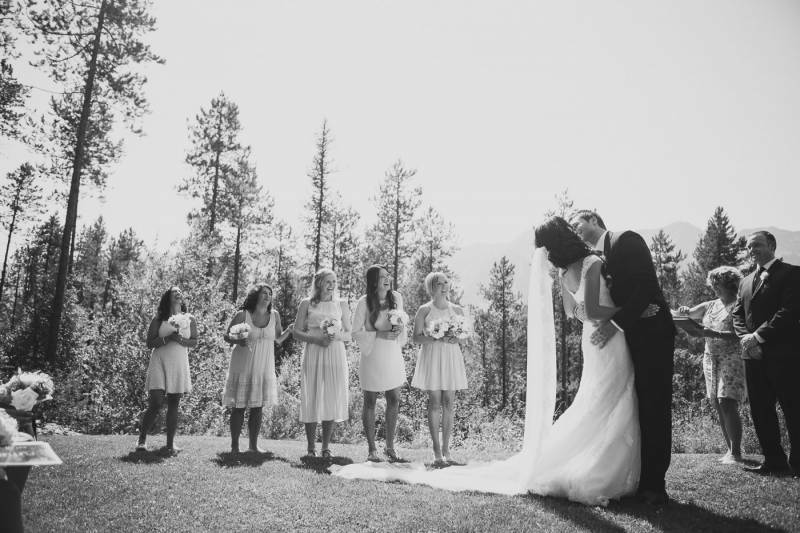 It's absolutely perfect.